For Holiday’s Viktor & Rolf’s masculine fragrance Spicebomb comes equipped with a shiny gun-metal exterior, reinforced casing finished with mirroring effect. 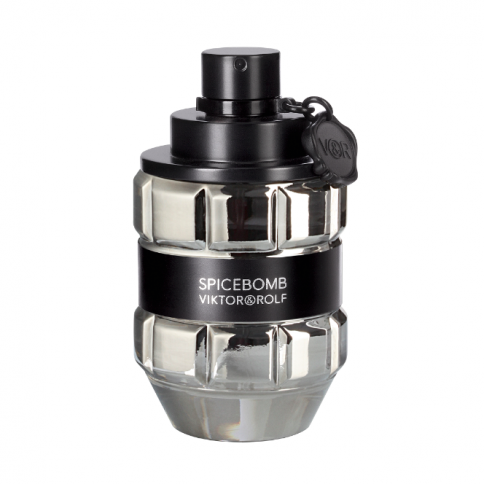 Beneath its steely outer-shell SpicebombTitanium Edition harbours a mysterious intensity and a triumphant masculinity ready to take control, the 90ml reflective bottle complete withViktor & Rolf embossed grenade pin that when pulled, triggers the release of Spicebomb’s power. Viktor & Rolf’s latest Limited Edition for Men is inspired by the high strength and resilience of titanium metal, qualities indicative of the Spicebomb scent, a burst of spices tamed by an enveloping freshness. To win this bottle full of spices, all you have to do is send an email to info@commedesleroi.com and tell me what you think of the new website. *This giveaway will close November 26th, the winner will receive an email shortly after.